Android Oreo has been confirmed as the new name for Android 8.0, in a tweet by proven leaker, Evan Blass, who goes by the pseudonym, evleaks. The following image could be a possible easter egg for Android Oreo, maybe available as the image which appears when you tap on the Android version, in the about phone screen. 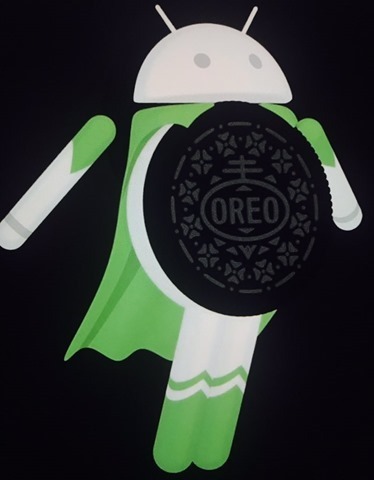 In case you are wondering about the costume the robot is wearing, it is a hat tip to the Superman dialogue, which Google used as an inspiration for its announcement about Android O's launch date. It read "It’s a bird, it’s a plane, it’s Android O!" As you know Google traditionally names its mobile operating system, after a dessert. And to be frank there aren't a great many treats which start with O, and are as popular as the chocolate cream cookie. And Oreo has been touted as the name for quite a long time. So it is not exactly a huge surprise now, is it? Of course Google could always pull a fast one on us, but we think it is highly unlikely. Android O is all set to be unveiled today, to coincide with the day when the first total solar eclipse in 99 years, occurs in the U.S later today. Thanks for the tip Jay Mehta.